If you’re thinking of flying into Branson, there are a number of nearby airports for you to choose from. While Branson has always been a popular dirve-to destination due to its central location, there are still several airports to choose from if you’re looking to fly into the area. Visitors choosing to catch a flight into the area have several airports to choose from (all under 200 miles away and under 4 hour drive time). If you’re not flying directly into Branson’s Airport (BKG), you can easily rent a car and drive to town in just a few hours. Located about 10 minutes south of Branson, the Branson Airport (BKG) offers a number of flights from various cities and destinations through the country. Additionally, this small airport may also be one of the most beautiful you’ve ever been in. Distance: About 10 minutes from the heart of Branson. Perhaps the most popular airport for Branson visitors is the Springfield-Branson National Airport (SGF), located in Springfield, Missouri. Sitting about 50 miles north of town, it’s a quick and easy 50-minute drive to Branson via Highway 65. The popularity of this airport is due to the number of flights and destinations that it serves as well as the short travel time to Branson. 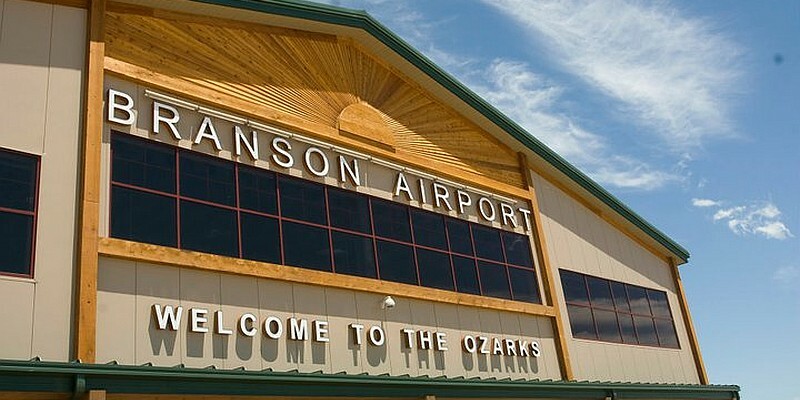 Located just outside Springdale, Arkansas – this airport sits around 100 miles from Branson and just about a two-hour drive from the popular tourist town. About 3 1/2 hours from Branson, the Tulsa International Airport in Tulsa, Oklahoma may offer fares you haven’t come across with the other airports close to Branson. This international airport is quite popular due to low fares and relatively short travel time to Branson. From the airport you can reach town in about 4 hours (it sits about 230 miles away), accessed easily via Highway the entire route. As with the Kansas City Airport, St. Louis’ Lambert Airport offers a multitude of destinations, flights, and options for visitors traveling to Branson. Around 4 hours’ drive time, you should be able to find flights, fares, and schedules that are convenient and affordable – no matter where you’re visiting from in the U.S.